London South Bank University (LSBU) has set out its five year strategy to become London's top modern university. Building on LSBU's existing strengths, the five year vision focuses on enhancing student success and delivering real world impact through academic activity and links to business and the professions. Student success: Providing a personalised, high calibre education which equips graduates for employment and prepares them to make a positive contribution to society. Real world impact: Providing dynamic evidence-based education which is underpinned by highly applied research and enterprise activity. Access to opportunity: Building opportunity through partnership and actively widening participation. By 2020, LSBU aims to be in the top quarter of all UK universities for student experience, to grow its income by 25%, and to achieve 95% of students in employment or further study within six months of graduating. The institution was established in 1887 to support the people of south-east London by improving their employment opportunities and providing access to the applied knowledge that would advance their businesses. 127 years later, LSBU remains true to that aim by providing students with skills that are attractive to employers and by supplying businesses with education, consultancy and applied research. 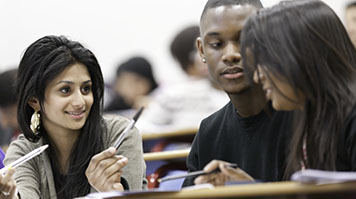 LSBU has nearly 20,000 students and is a top 20 university for graduate starting salaries. For further information, contact Andrew Mccracken, head of PR and communications, on 0207 815 6796 or andrew.mccracken@lsbu.ac.uk.